Dr. Vassalou is a Partner in Perella Weinberg Partners’ Asset Management business. In this role, Dr. Vassalou is responsible for leading the PWP Global Macro business which manages volatility-targeting, multi-asset class systematic strategies on behalf of primarily institutional investors. Dr. Vassalou has more than 10 years of investment experience. Prior to joining Perella Weinberg Partners in July of 2013, Dr. Vassalou was at MIO Partners, a subsidiary of McKinsey & Company, where she served as a Portfolio Manager and Head of Asset Allocation. She was previously a Global Macro Portfolio Manager of SAC Capital Advisors. Prior to that, Dr. Vassalou was responsible for global quantitative research, as well as the development and management of global quantitative trading strategies at Soros Fund Management. 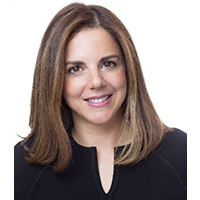 Dr. Vassalou began her career in academia and she was an Associate Professor of Finance at Columbia Business School which she joined in 1995. Her research has been published in leading journals such as the Journal of Finance, Journal of Financial Economics and the Journal of Financial and Quantitative Analysis. Dr. Vassalou is a Past President of the European Finance Association and was the Chair of the 2008 European Finance Association Meetings. A Research Affiliate of the Centre for Economic Policy Research (CEPR) in London for many years, Dr. Vassalou is a past member of the Academic Advisory Board of the Vienna-based Guttmann Center of Competence in Portfolio Management. Dr. Vassalou earned a B.A. in Economics from the University of Athens, and holds a Ph.D. in Financial Economics from London Business School. Dr. Vassalou is the recipient of several professional awards and she was included in the 50 Leading Women in Hedge Funds in 2015. Since 2016, she is a member of the Board of Directors of Tsakos Energy Navigation (NYSE: TNP).